Product prices and availability are accurate as of 2019-04-17 02:49:14 UTC and are subject to change. Any price and availability information displayed on http://www.amazon.com/ at the time of purchase will apply to the purchase of this product. 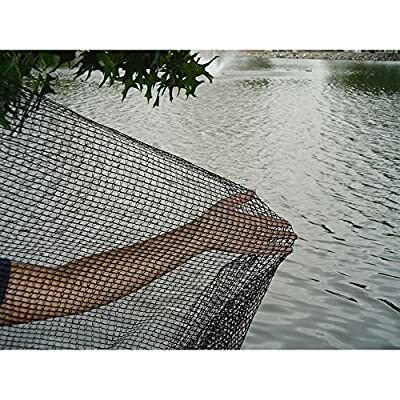 Protect your pond and the fish within from debris and predators by covering it with the Dewitt PN1414 Pond Netting. This durable net is easy to use. Sunlight, air, and moisture easily pass through while unwanted debris is kept out. Dimensions: 3W x 3.25D x 3H in.. Made of polypropylene. UV treated for life. Prevents leaves and debris from entering pond. Allows sunlight and moisture through.